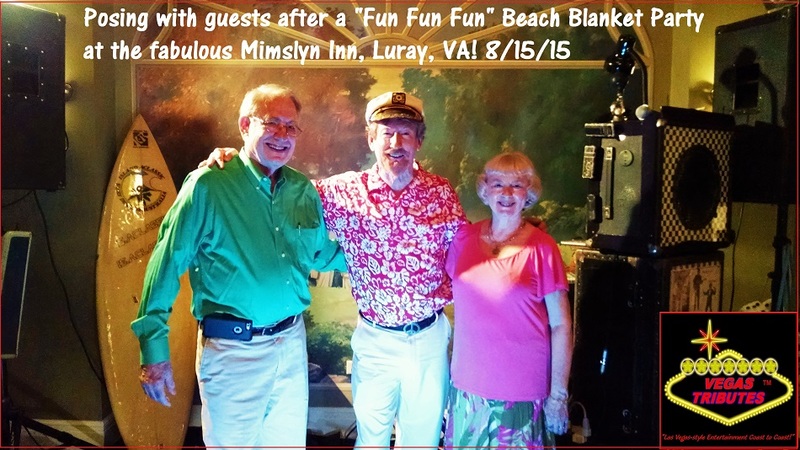 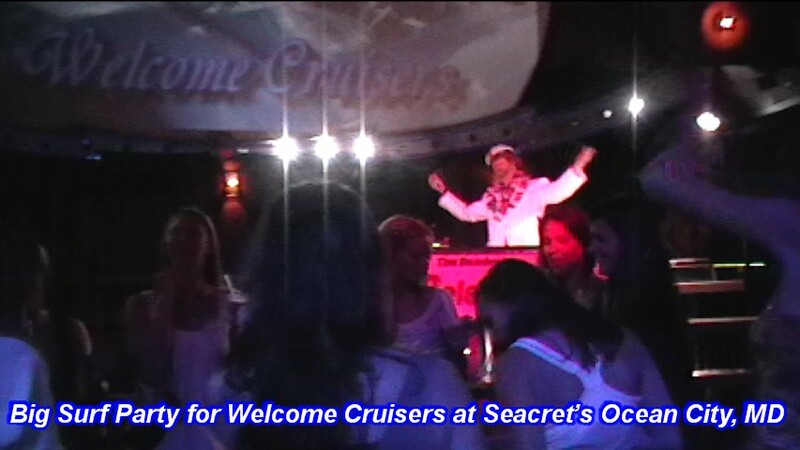 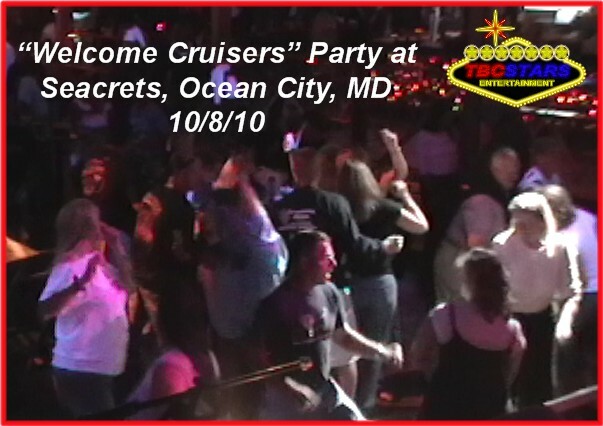 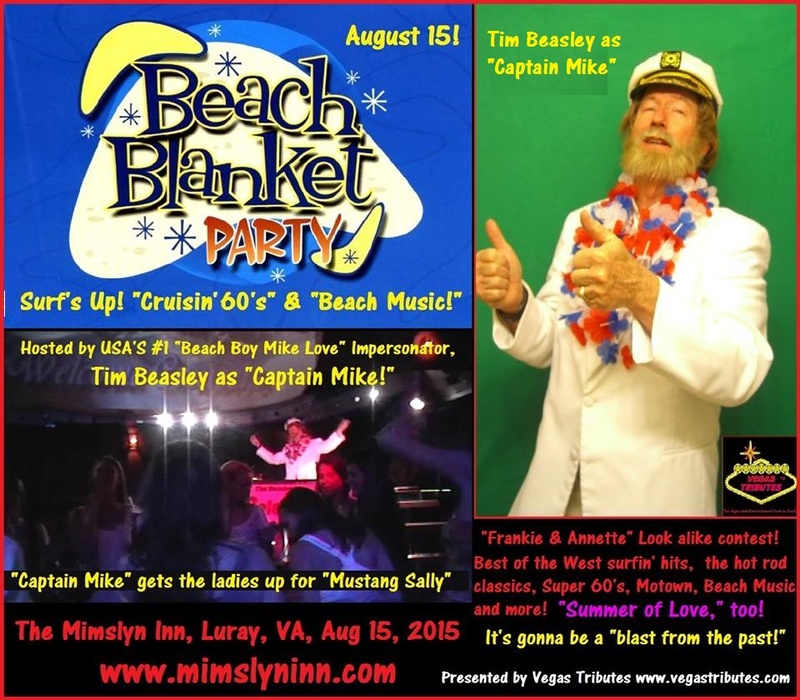 Mike Love Impersonator Tribute Show, "Captain Mike"
Here's a video of a typical fun party show! 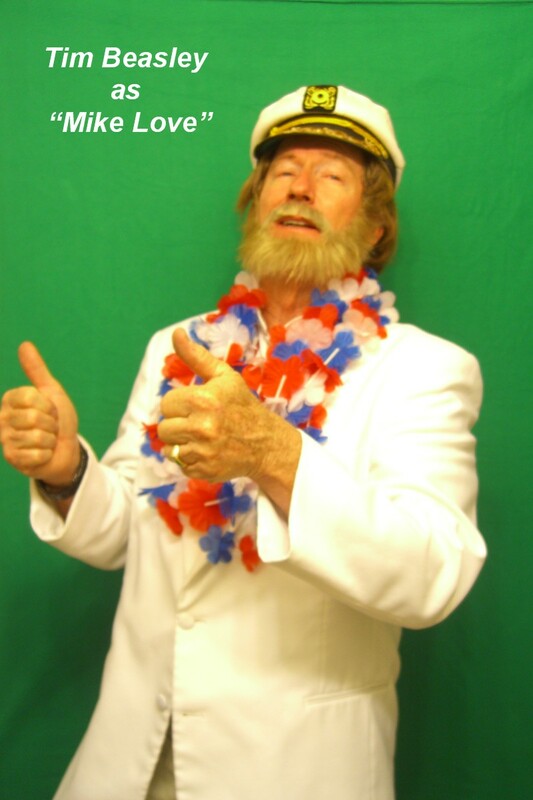 Just click the red link! 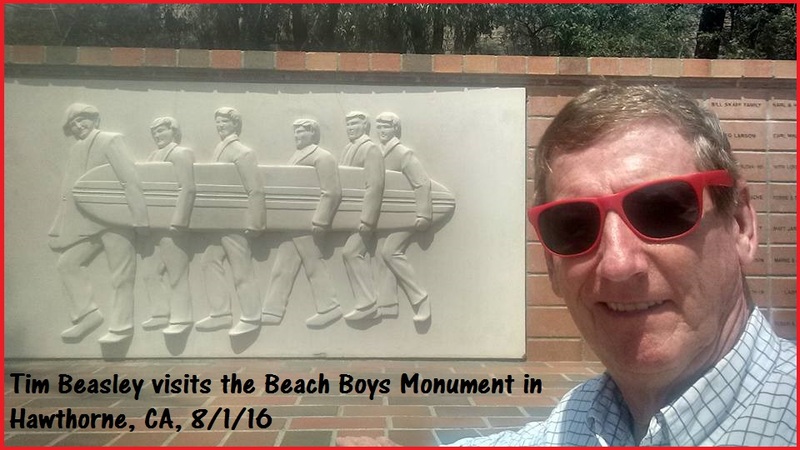 The Beach Boys are probably the best known American band in the world, with a record 40 top 10 hits. 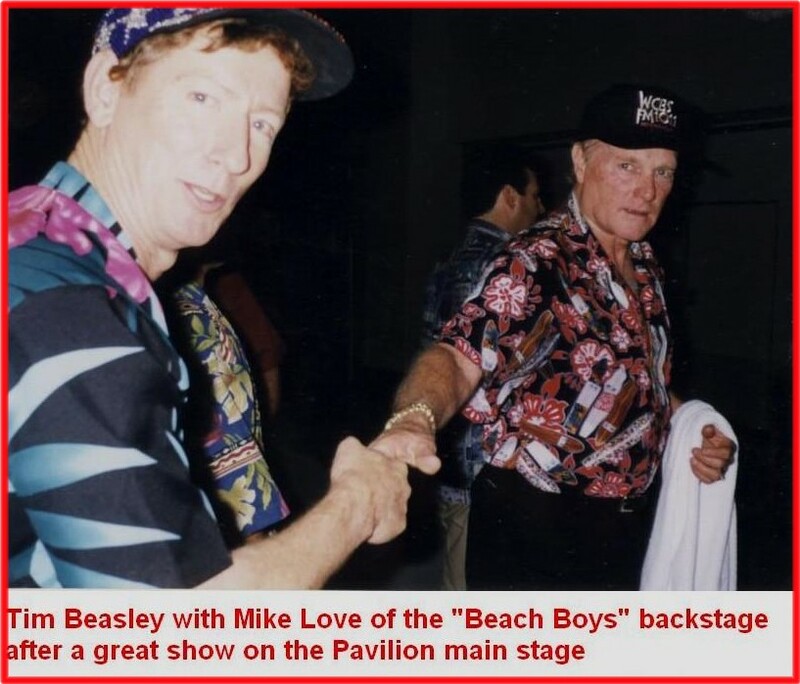 One of the main forces behind their phenomenal success was front man Mike Love, who had the all American boy looks, voice and swagger in his on-stage 'Beach Boy" personna. 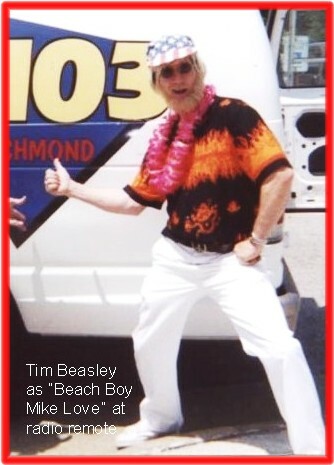 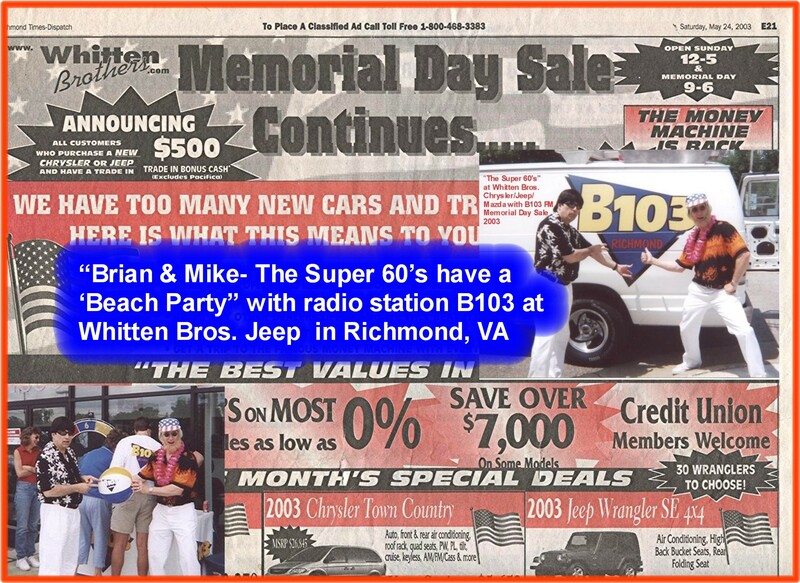 Tim Beasley has been performing as "Mike" for quite a few years at custom car events, ( all 15 years of the huge and famous "Endless Summer" and "Cruisin' Ocean City" super car & custom car cruise in Ocean City, MD that attract well over 100.000 attendees at each event!) 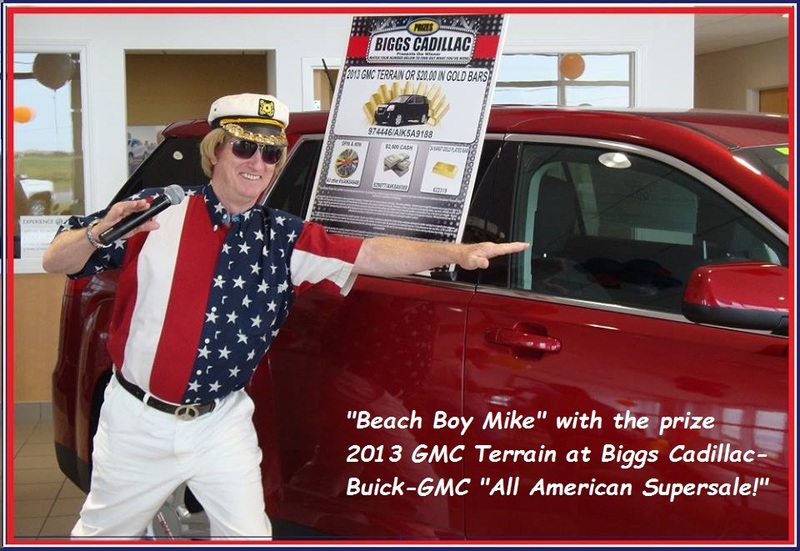 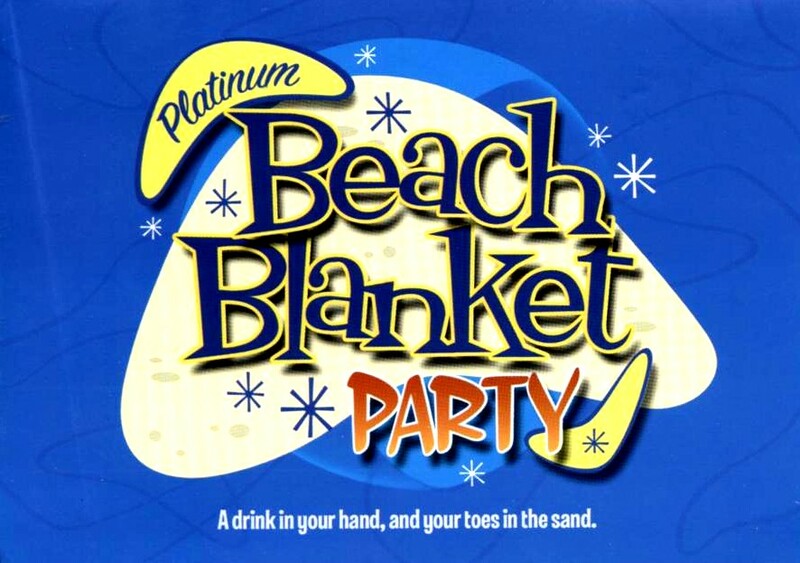 new car dealerships sales, Wal-Marts and military bases exchanges for their big "Endless Summer" themed sales events, and also for big casino "high rollers appreciation" parties, and anything with a 60's , beach, surf and car culture events. 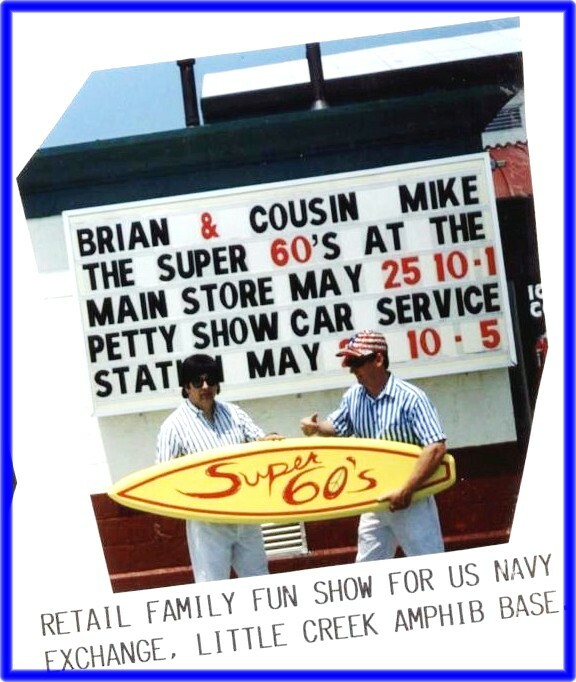 This show has a lot of retail promotion power, too! 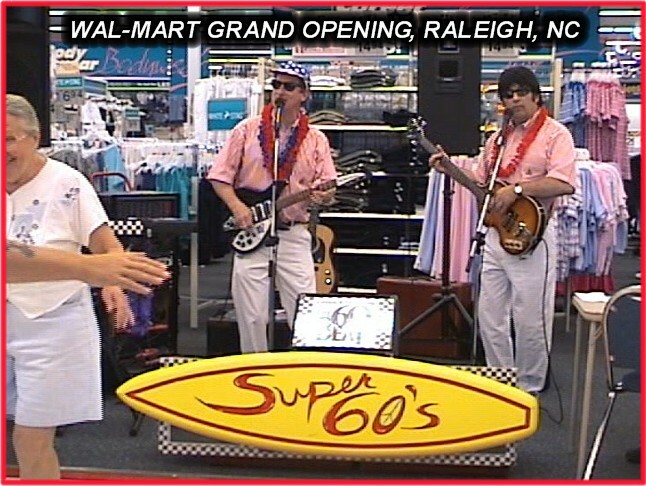 and other Surfin' and Sixties Classics! 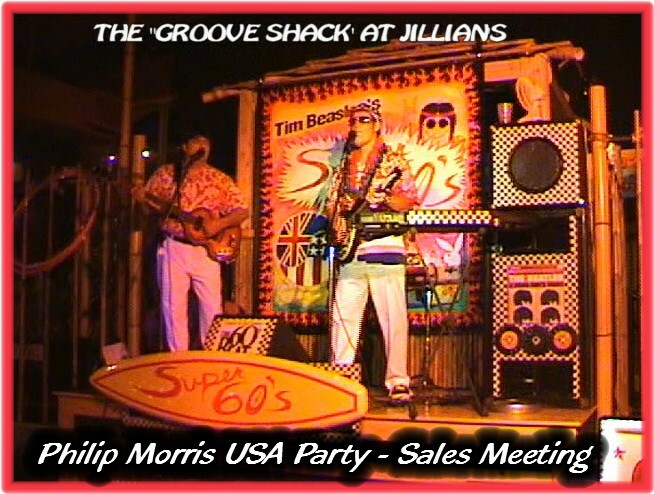 "Surfer Girl" beauty - bikini contests, best surf bums fashions, trivia and more! 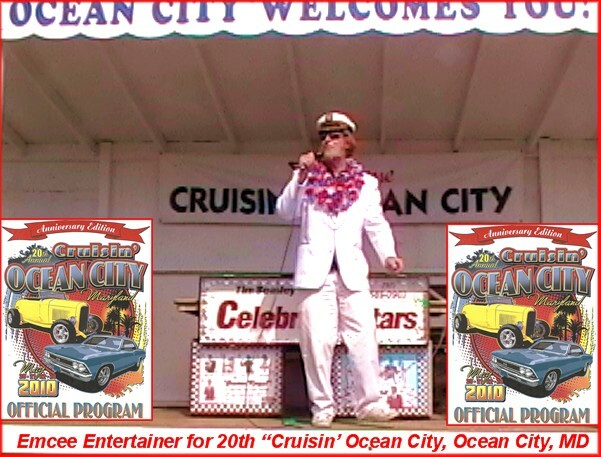 Bookings anytime, anywhere you want your guests to "Catch a Wave!" 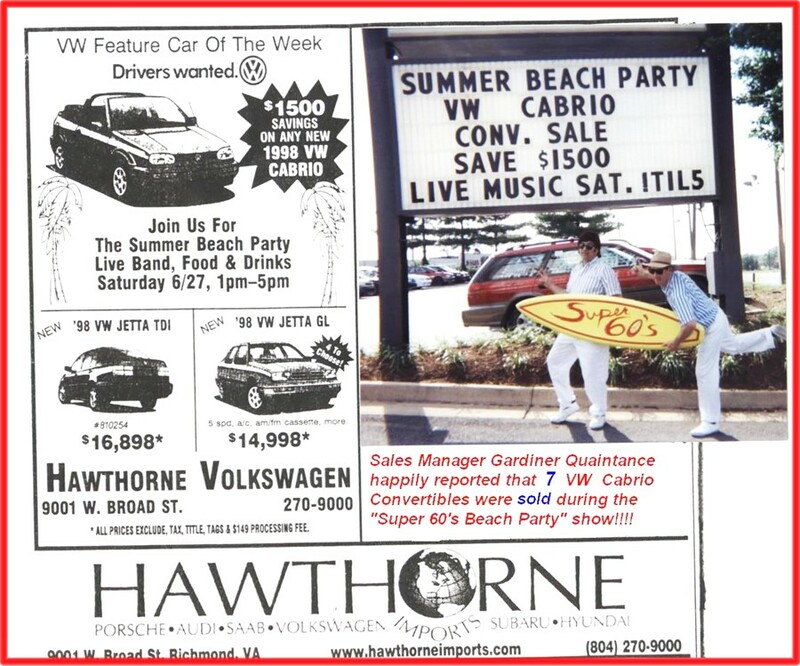 Please call, we love to talk!